The new semester is about to begin, and we are delighted to welcome Katja Kwastek as VU University’s new professor of art history and member of the VAMA team! In both her teaching and her research, Katja Kwastek focuses on art from the 1960s to the present, with a focus on intersections of art and technology and new media. “Since the 1960s, artworks that involve the participation of the spectator have received extensive scholarly attention. Yet interactive artworks using digital media still present a challenge for academic art history. In this book, Katja Kwastek argues that the particular aesthetic experience enabled by these new media works can open up new perspectives for our understanding of art and media alike. Kwastek, herself an art historian, offers a set of theoretical and methodological tools that are suitable for understanding and analyzing not only new media art but also other contemporary art forms. 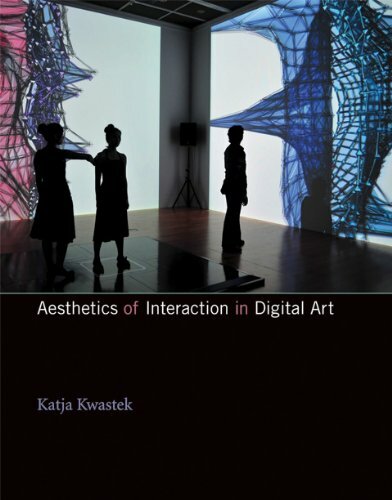 Addressing both the theoretician and the practitioner, Kwastek provides an introduction to the history and the terminology of interactive art, a theory of the aesthetics of interaction, and exemplary case studies of interactive media art. In the first semester, Katja Kwastek will be teaching a seminar on artist Robert Morris. Also on offer are the course “Reading Concepts of Intermediality” with Sven Lütticken and Ginette Verstraete, and a seminar on architecture and mobility with Anna Nikolaeva. Mobility will become something of a Leitmotif, as in the second semester Ginette Verstraete will dedicate the biannual VAMA course “Critical Issues in the Cultural Industries” to issues of space, place and mobility in a globalized and digitized world.